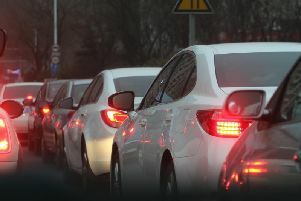 Traffic Alert: All the latest traffiic news from South Yorkshire. Motorists are being advised to avoid the northbound exit slip road of the M1 at Junction 31 -Aston - for five nights from Monday. And the northbound exit slip road of the M1 at Junction 32 - Thurcroft - will be closed for one night on Sunday February 8. Work is being carried out between junctions 28 and 35a until 2016 on the Smart Motorway project.